Sandwiches are best for picnics, snack time, for kid’s party or simply for get-to-gethers. 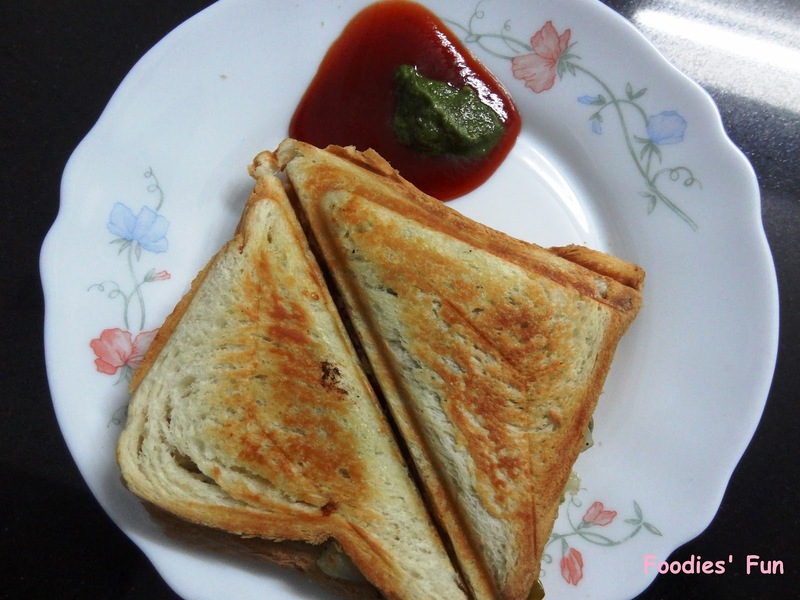 There is variety of sandwiches to choose from, plain vegetable sandwich to cheese sandwich to masala toast. 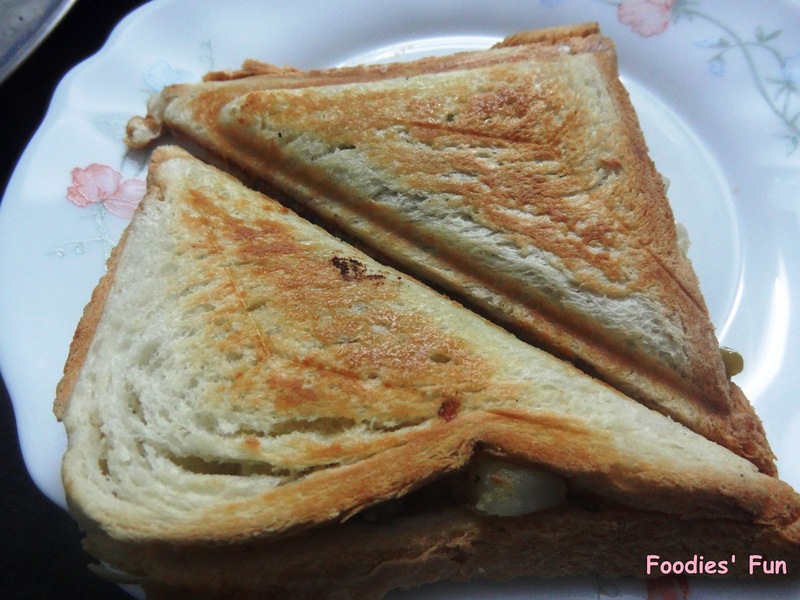 Well I choose vegetable toast sandwich not for any occasion but simply for dinner. 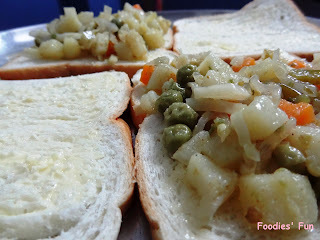 This is one of my favourite recipe on menu. 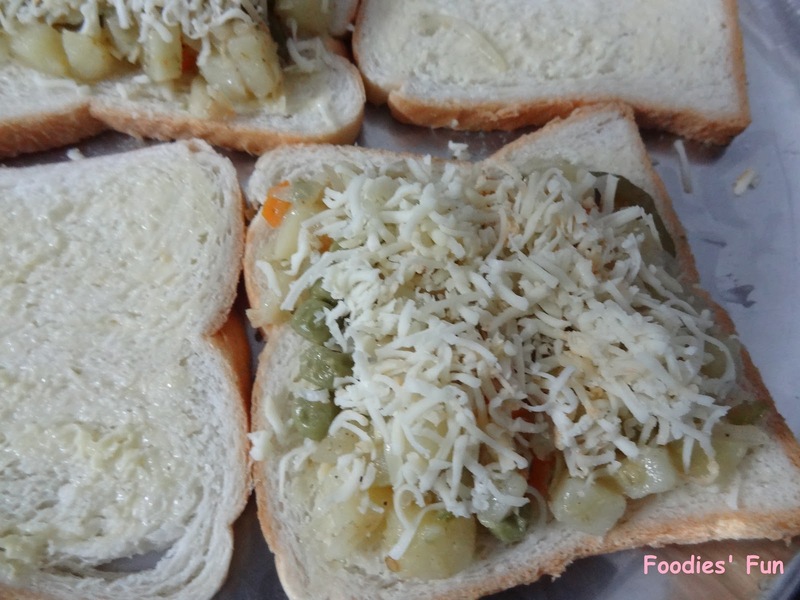 It tastes delicious with combination of vegetable and cheese plus obviously easy to make. Cut al the required vegetables. 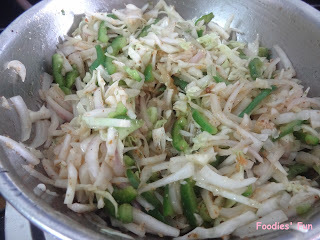 Finely chop ginger, garlic and green chillies in chopper and make a paste. 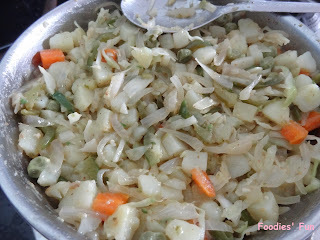 Boil diced potatoes and carrots and peas together in a pressure cooker or in a cooking pot. Don’t make them to mushy. Once they are boiled, drain off the water and keep aside. Now in a kadai, prepare oil for tempering. Heat the oil. As it heats up, put hing in it. Then add ginger-garlic-chilli paste and sauté it properly for about a minute. Then add onions, capsicum & cabbage to it. Also add salt, garam masala and lemon juice to it. Mix them all well. Cook it keepind the lid closed for about 5-7 minutes. Cook them till they are partially boiled/ cooked. Just make sure they don’t taste raw. After they are cooked, add boiled veggie’s to it. Season generously till all the ingredients are mixed properly. Switch off the stove and keep aside. Take bread slices and apply butter on one side of the bread slice. Evenly spread the prepared vegetable stuffing on it. 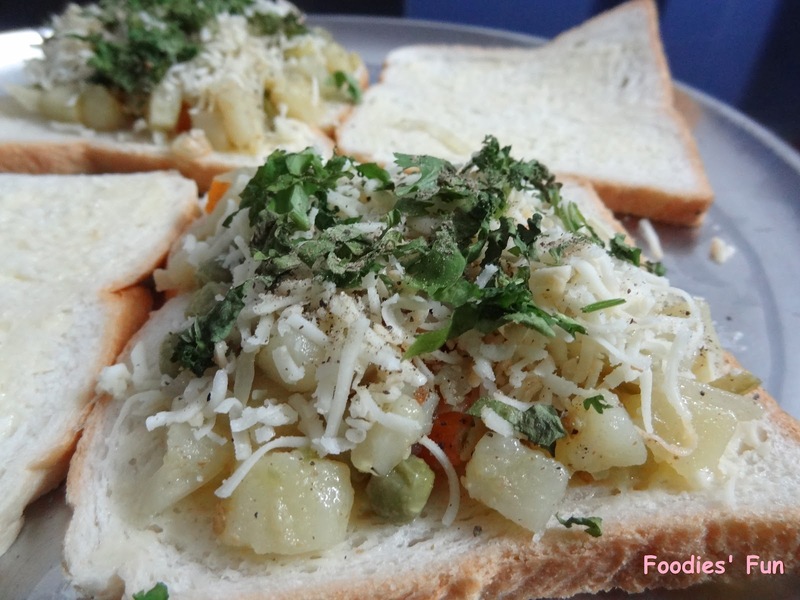 Sprinkle a pinch of pepper powder and chopped coriander leaves on it. Place the other bread slice on it and press gently. Toast it in a sandwich toaster till it is done. Until both the sides are turn golden brown. Serve it hot or pack it cold for picnics. Have it with mint chutney or green chutney or tomato ketchup.